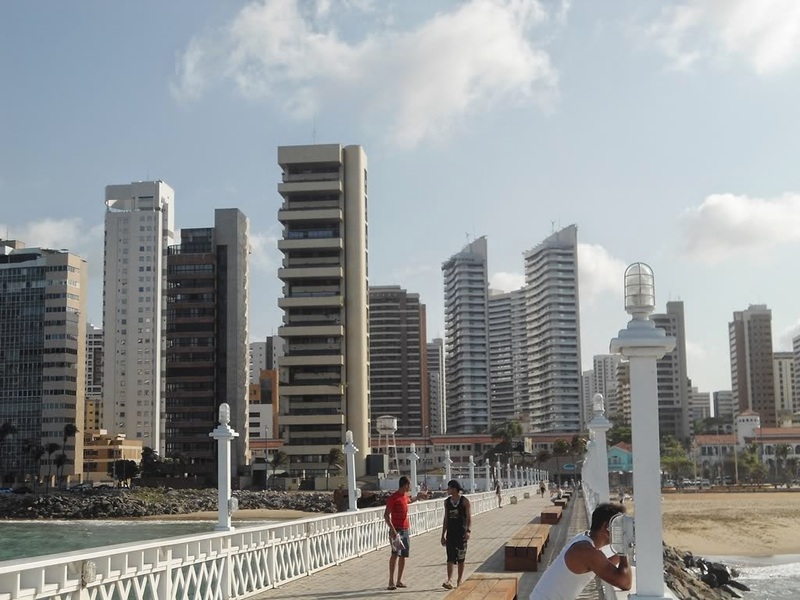 Fortaleza is Brazil's fifth-largest city, and one of the most popular tourist destinations in the northeast with or without the World Cup. 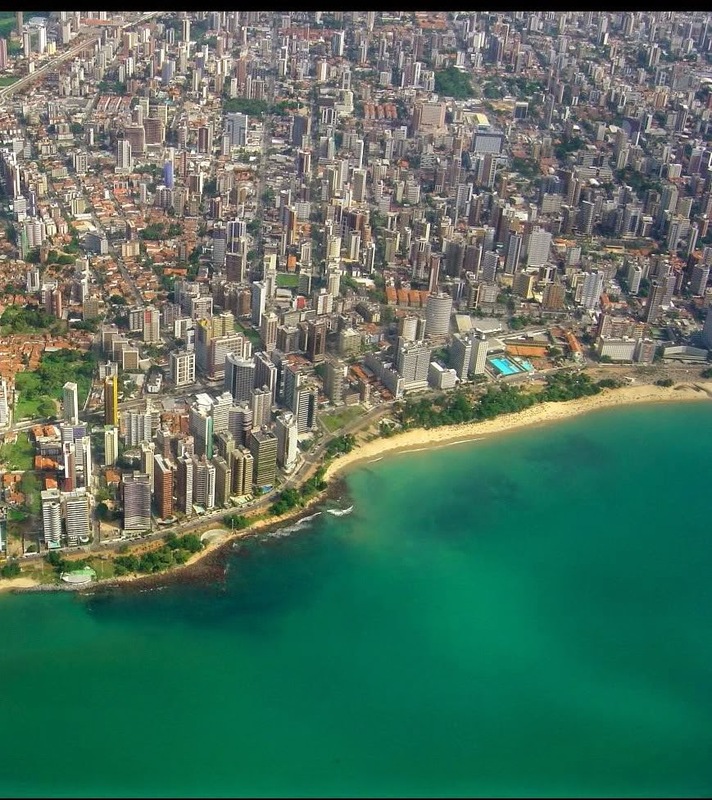 The city will be one of the host cities of the 2014 FIFA World Cup. 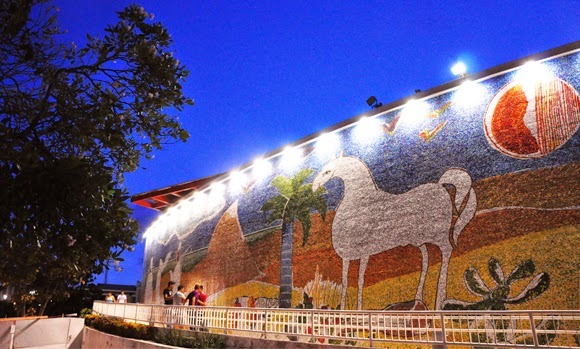 Additionally, it hosted the 2013 FIFA Confederations Cup. 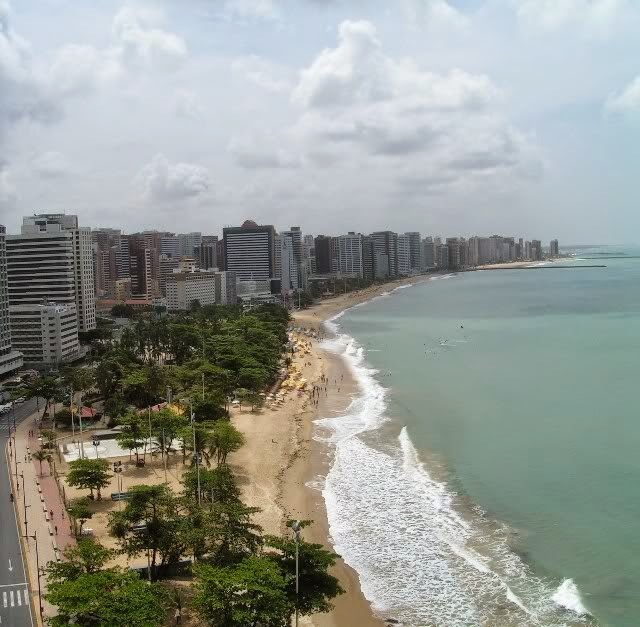 Fortaleza has a typical tropical climate, specifically a tropical wet and dry climate, with high temperatures and high relative humidity throughout the year. However, these conditions are usually relieved by pleasant winds blowing from the ocean. Average temperatures are not much different throughout the year. 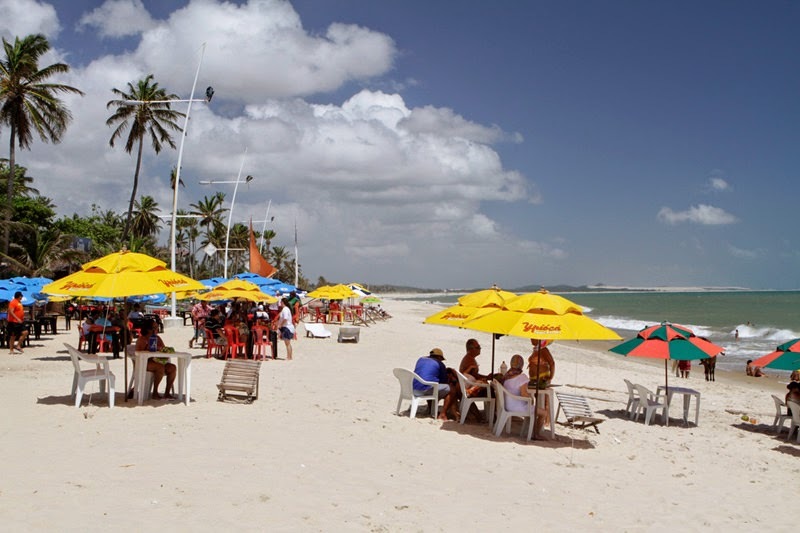 December and January are the warmest months, with a high of 31 °C (88 °F) and low of 25 °C (77 °F). 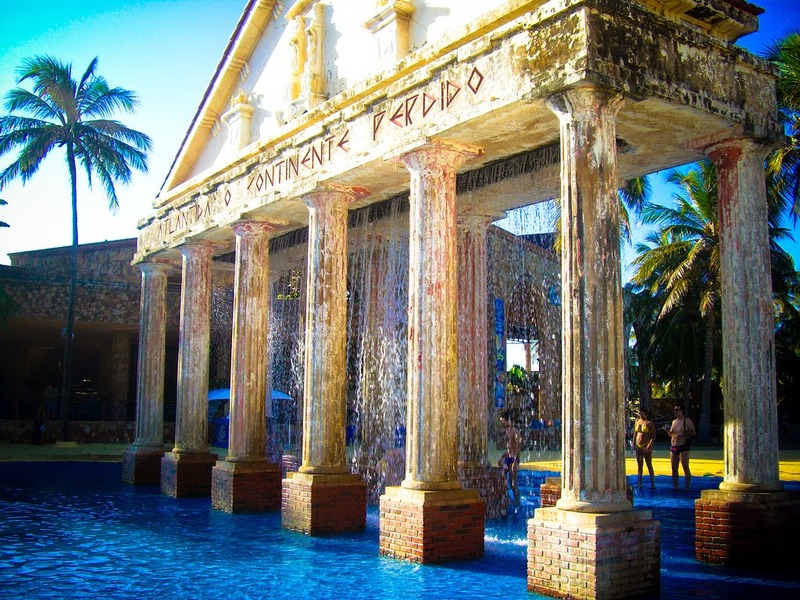 The rainy season spans from February to May (locally called "winter" due to the rain, not the temperature), with rainfall particularly prodigious in March and April. The average annual temperature is 27 °C (81 °F). 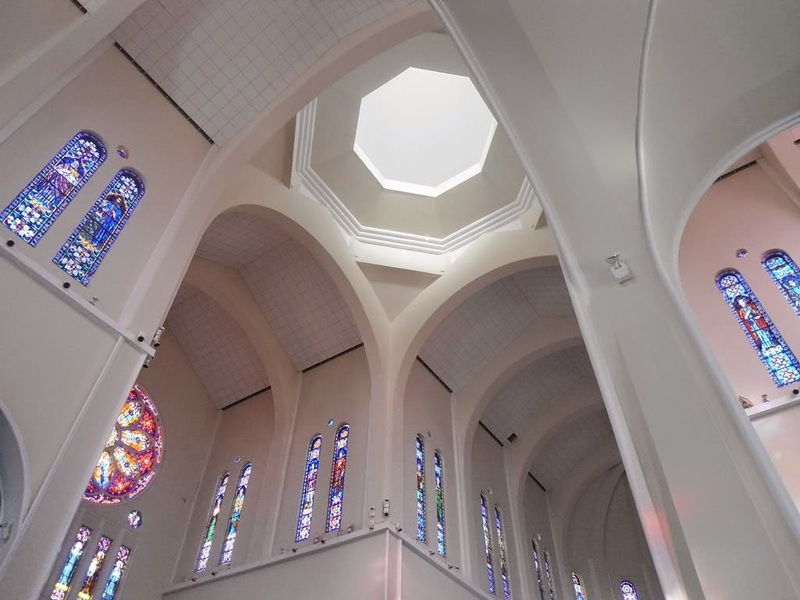 Its relative humidity is 77%, with average annual rainfall of 1,378.3 millimeters (54.26 in). 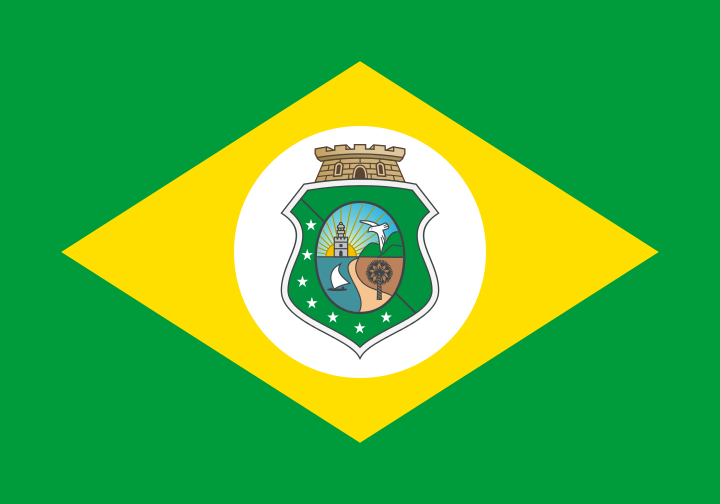 Fortaleza means "fortress" in Portuguese. 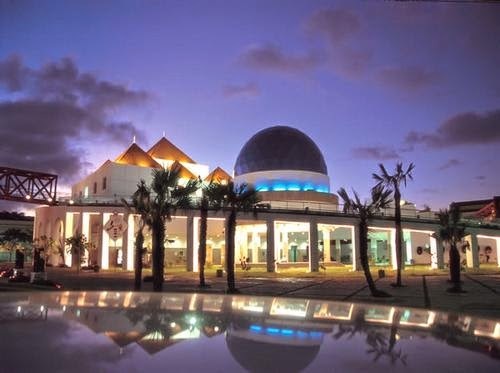 The city owes its name to a period in the 1600s when the Dutch established a fort there. 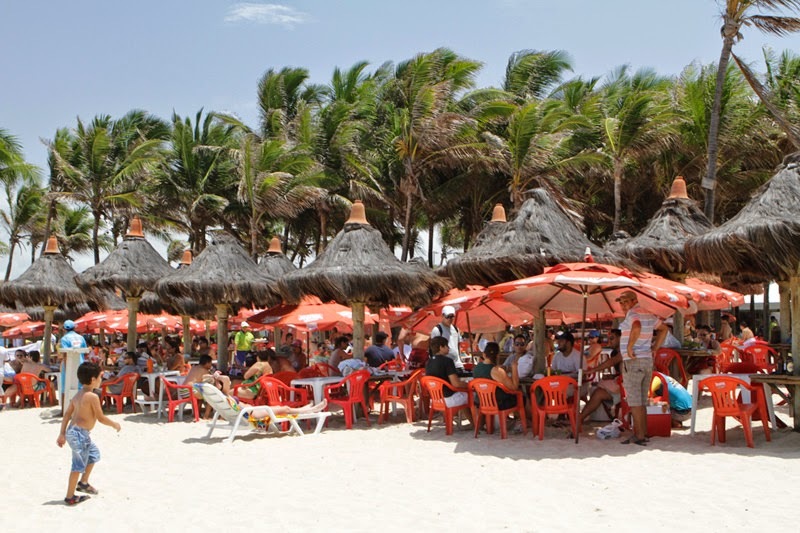 Most of the tourist attractions in Fortaleza revolve around its beaches: the Praia do Futuro(Future Beach) popular for its several barracas - simple kiosk-restaurants built on the sand that serve fresh, typical seafood - while Iracema is the place for bars and nightclubs. There is also more bucolic Mucuripe Beach, from where fishermen venture into the sea with their jangadas (handmade wooden boats). 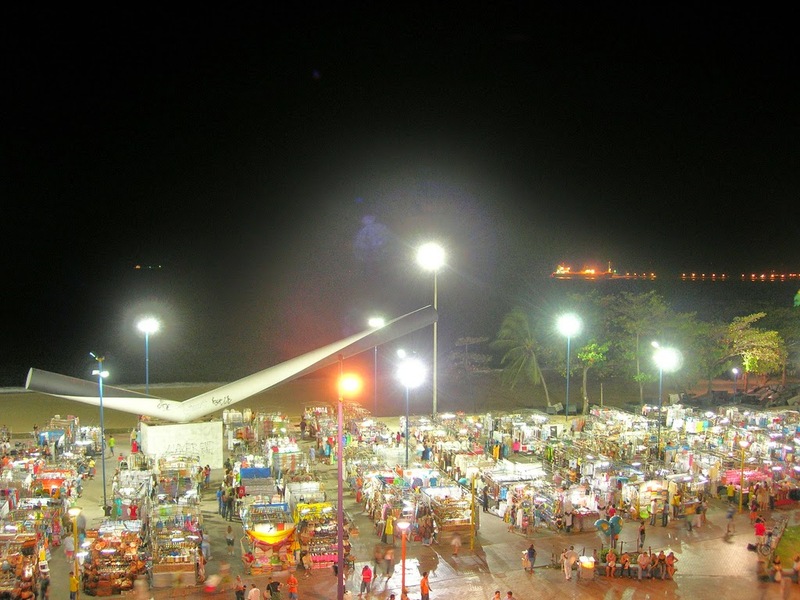 The coastal Beira Mar avenue is also the place for a traditional daily craftsmen's fair and for some of the top spots to dance the forró, a typical rhythm from the north-east of Brazil. 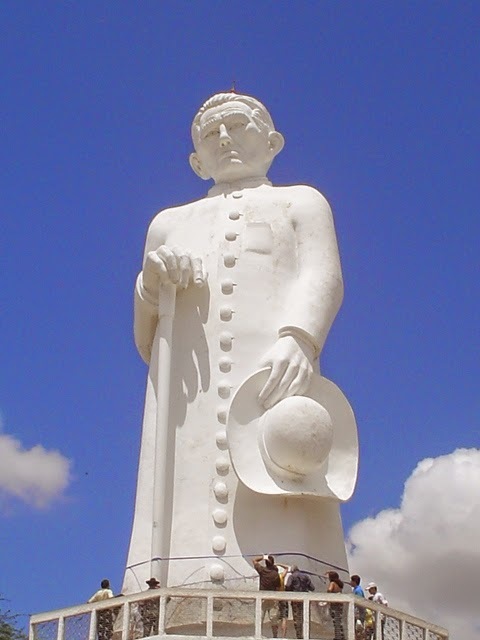 Iracema Statue. 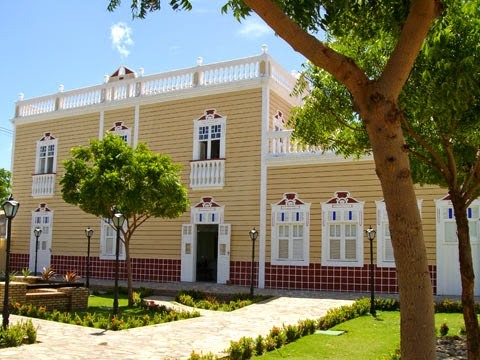 Iracema is the main character of a novel with the same name written by Brazilian writer José de Alencar. 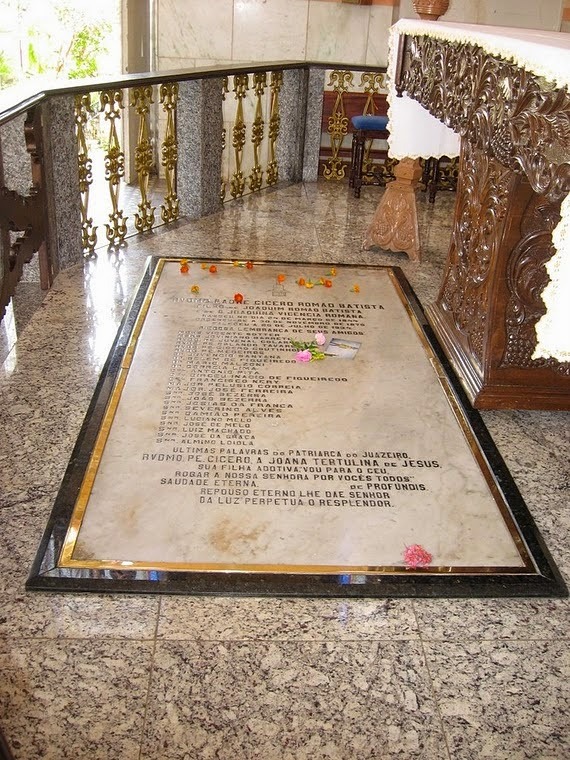 The novel tells the story of Iracema and Martim Soares Moreno; Moreno was one of the first Portuguese to come to explore Fortaleza, and Iracema would be his wife. 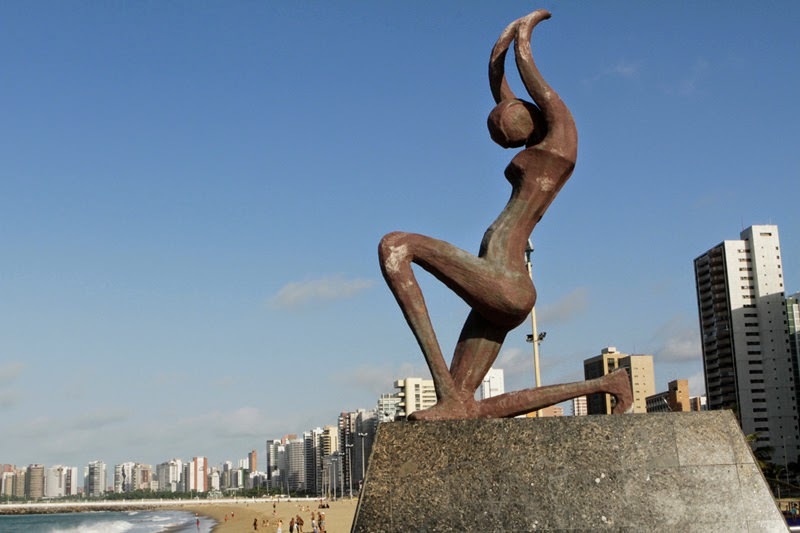 Iracema became so associated with Fortaleza (hence the name of Iracema beach) that a few statues of her were built and are exhibited in the city. 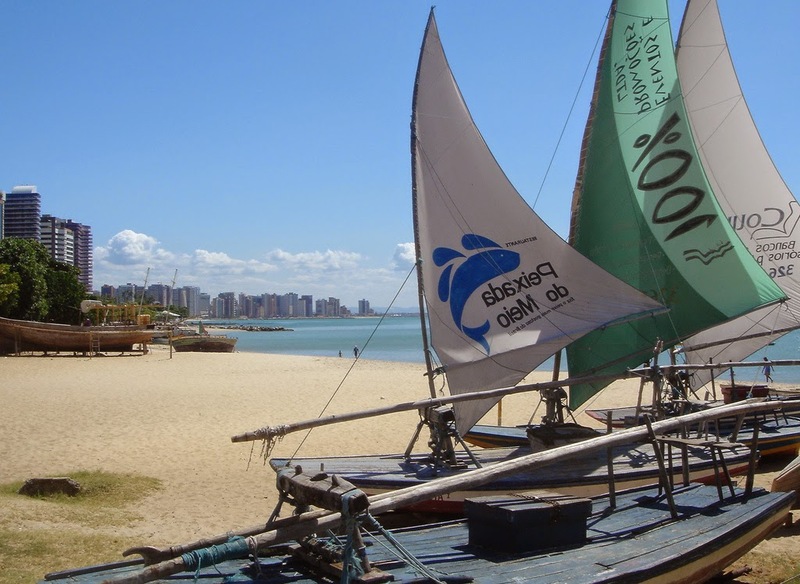 Mucuripe Beach is the place of jangadas (handmade wooden boats). 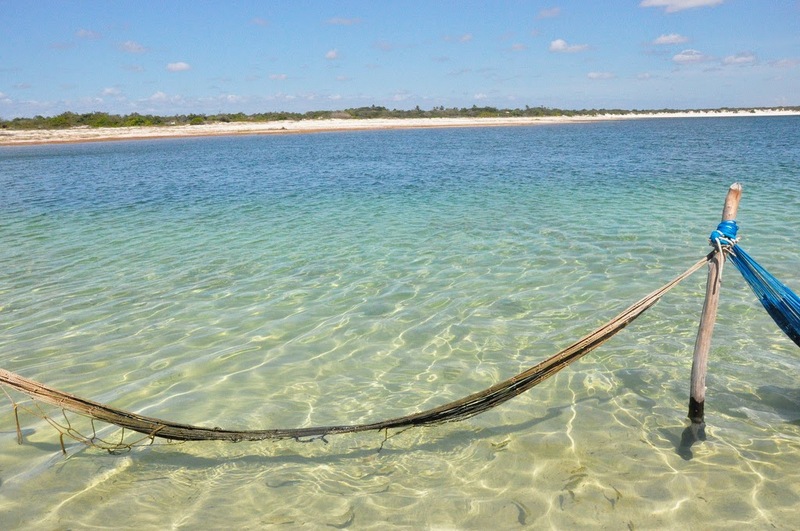 Still used by fishermen to go into high seas, jangadas can be seen along the way during the afternoon and evenings, and returning from the sea in the morning; part of the catch of the day is sold in an old style fish market. Also, the boat trips leave from this area. 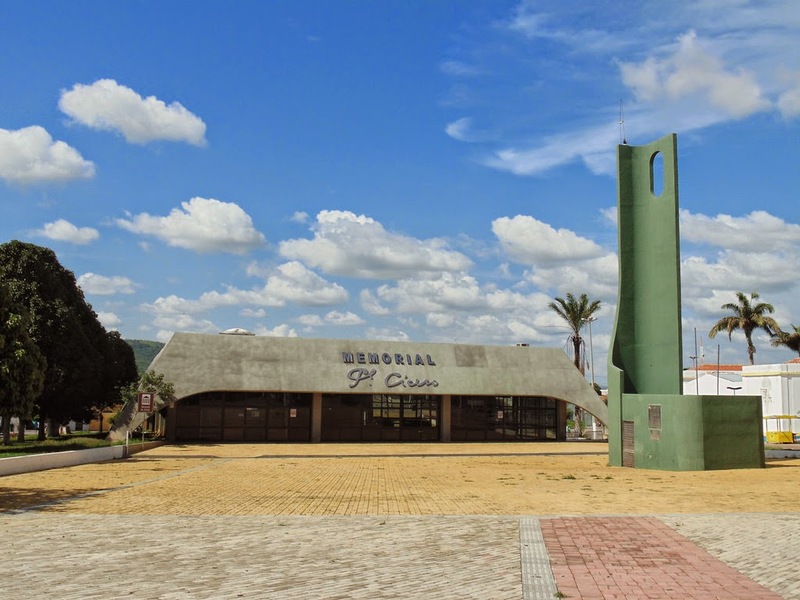 There are handicraft shops all around the city, but the best places to go are the Feirinha da Beira-Mar (Beach Fair) and the Mercado Público (Public Market). These places have a large number of stalls (fair) and shops (market), and competition drives prices down. 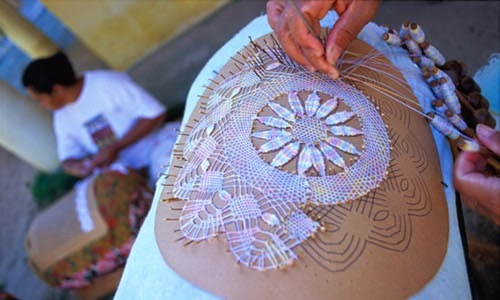 The hundreds of stalls where handicraft is sold are assembled and disassembled every day; the first stalls are opened at around 4 pm. 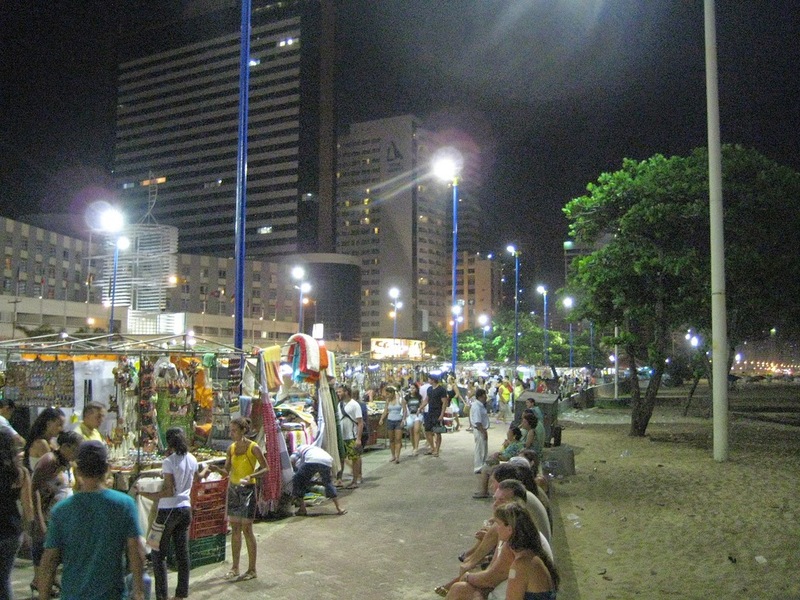 The area around the fair is one the busiest parts of Fortaleza, surrounded by several hotels and restaurants. 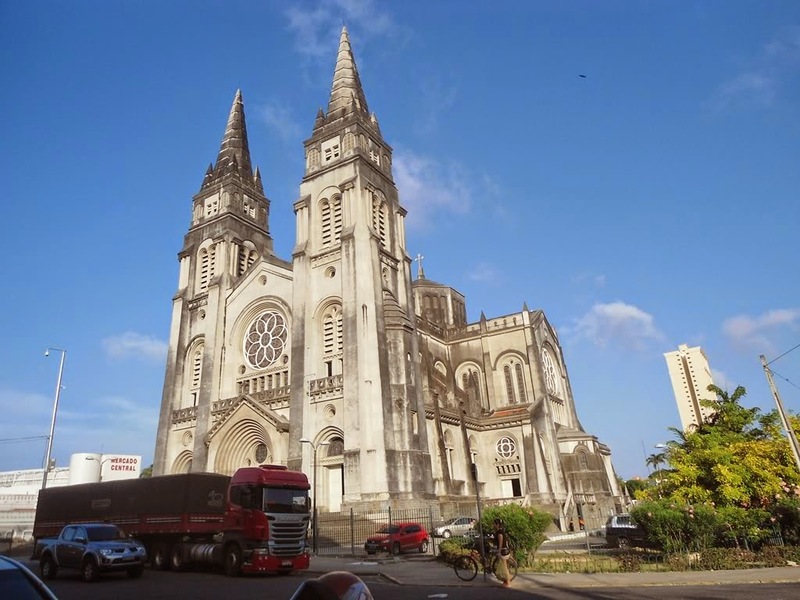 It is safe and fun to walk from Meireles and Mucuripe to the fair; walking from Iracema is possible (about 1 km from the central Iracema area), but a bus may be more convenient. 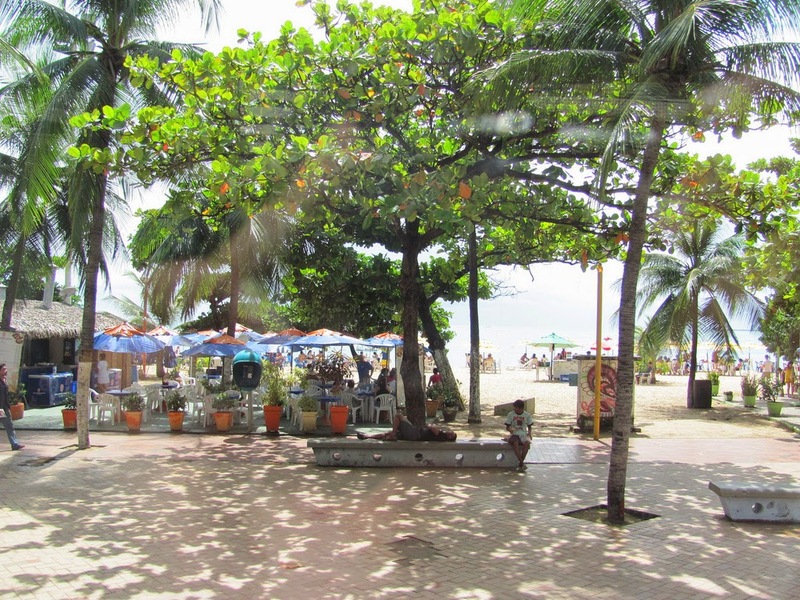 Feirinha da Beira Mar (Beach Fair). 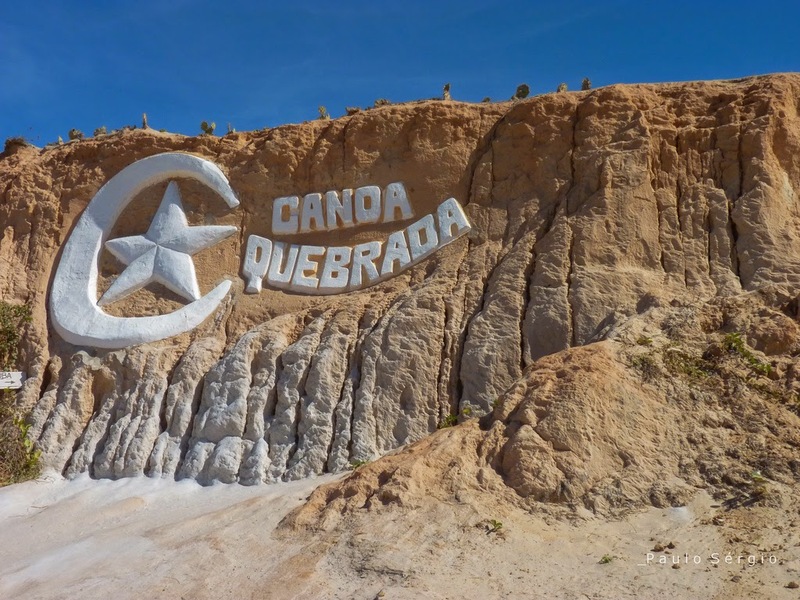 Ponte dos Ingleses. Inaugurated in 1923, the British Bridge stands as one of the main sights of the city, much appreciated by observers of the sunset. 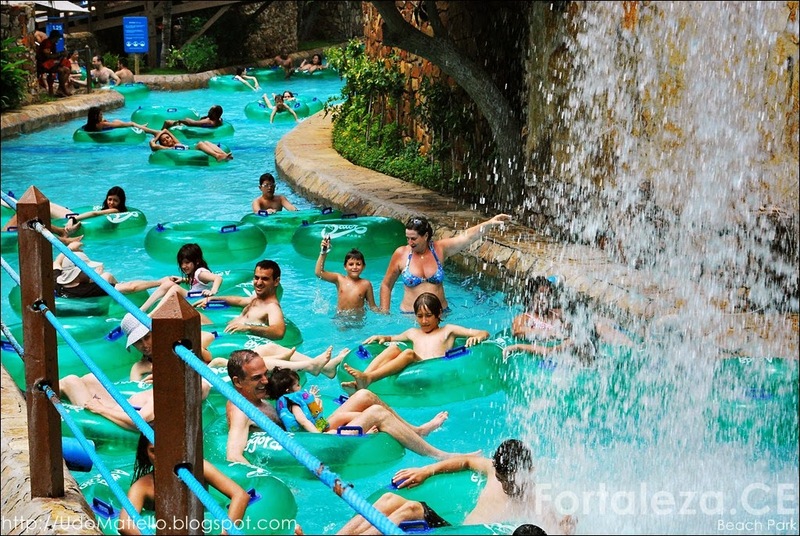 Over the decades, Fortaleza has invested in infra-structure for tourism and in new features such as the Centro Dragão do Mar de Arte e Cultura (Sea Dragon Art and Culture Center) and the Beach Park, Brazil's largest water park, with several cutting-edge speed-slides distributed along 35,000 square kilometers. 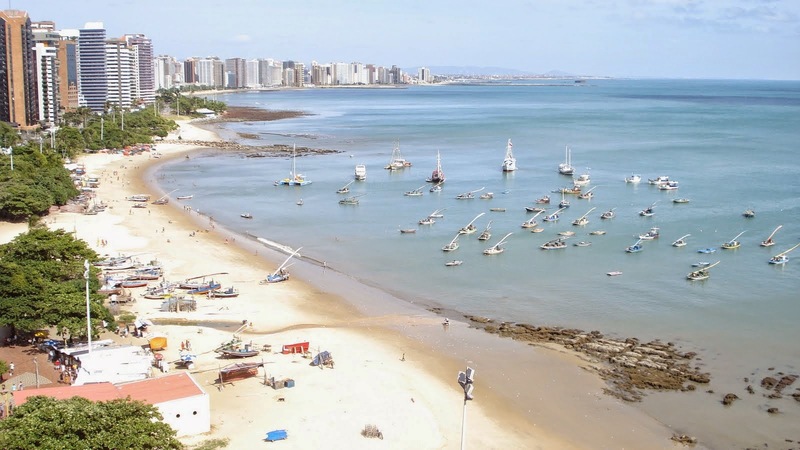 The Beach Park complex is ocean front and is located in Porto das Dunas, self-sufficient and only 16 kilometers (9.9 mi) from the city of Fortaleza. 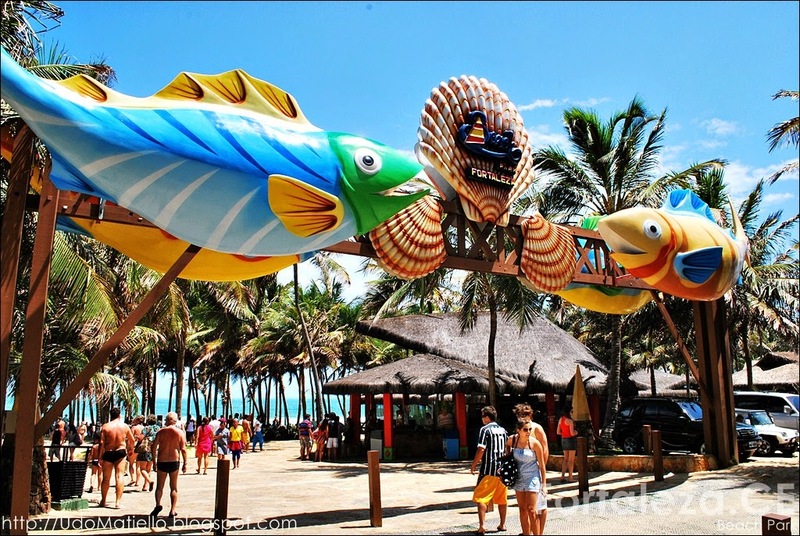 The Beach Park is the largest aquatic park of South America. And there is a tradition in the city, every Thursday called Thursday's Crab. 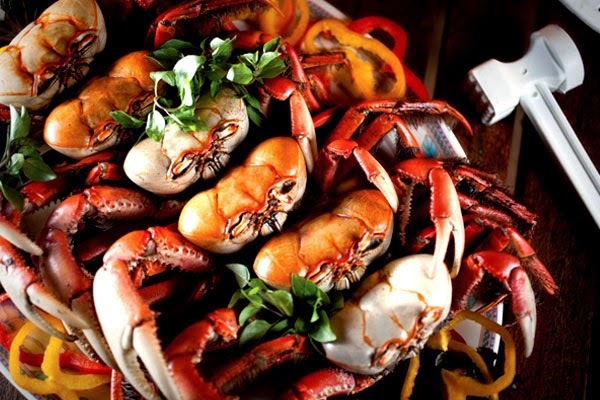 Especially on this day, the "king of the night" is crab cooked with parsley, onion and coconut milk. 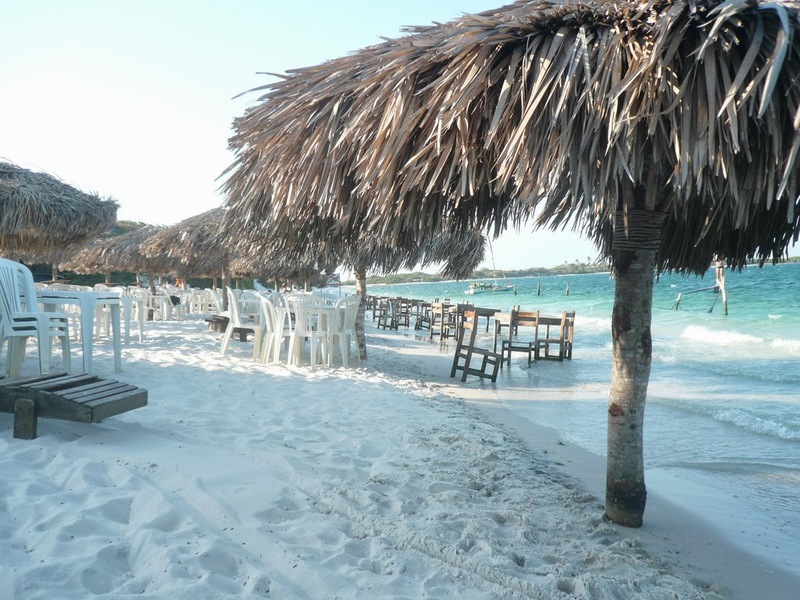 Restaurants and beach bars open at night to welcome tourists and fortalezenses, all accompanied with good music, cold beer, friends and fun. 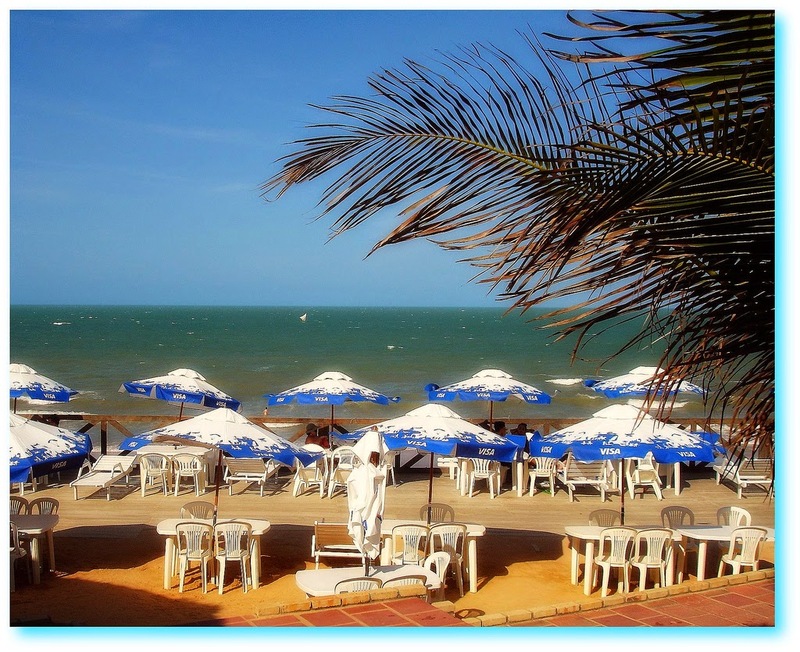 Ceará (Portuguese pronunciation: [siaˈɾa]) is one of the 27 states of Brazil, located in the northeastern part of the country, on the Atlantic coast. 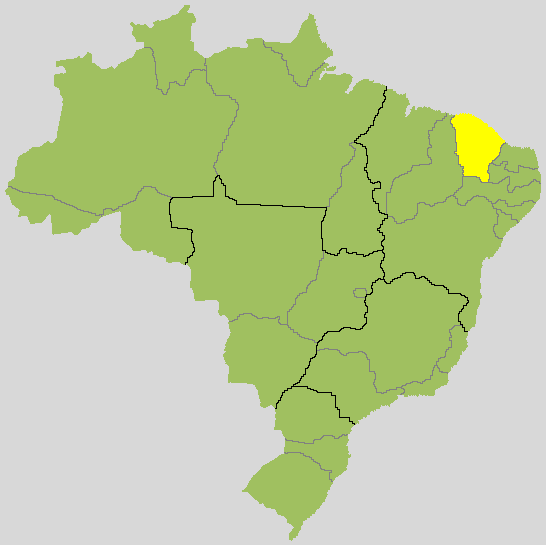 It is currently the 8th largest Brazilian State by population and the 17th by area. 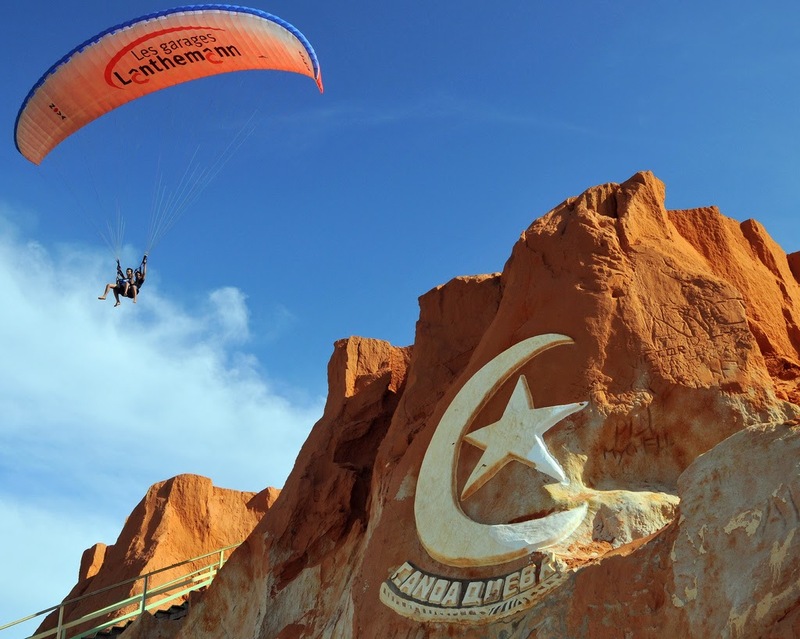 It is also one of the main touristic destinations in Brazil. 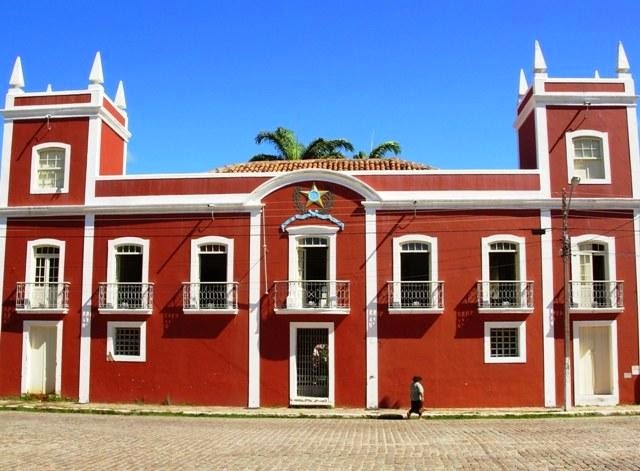 The state capital is the city of Fortaleza that is the principal cultural, commercial, and seaboard shipping centre. 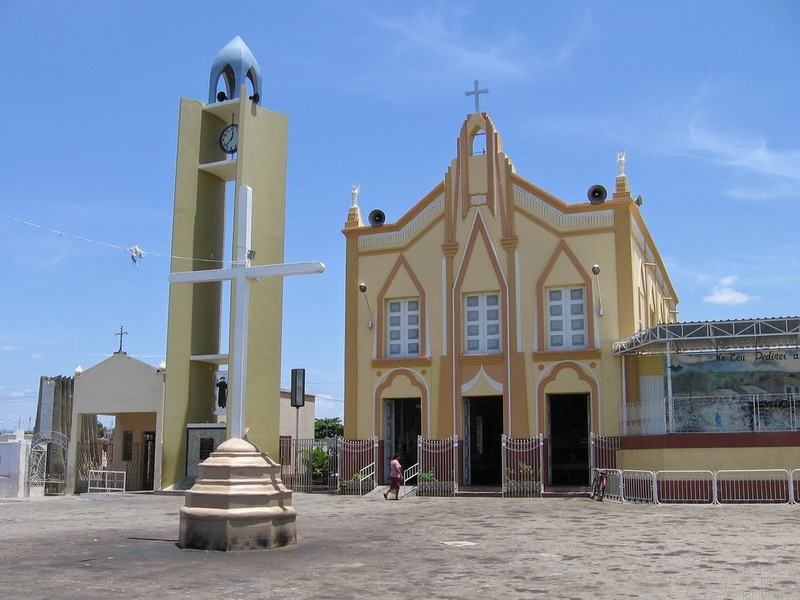 Other principal towns are Juazeiro do Norte, Sobral, Crato, Iguatu, and Crateus. 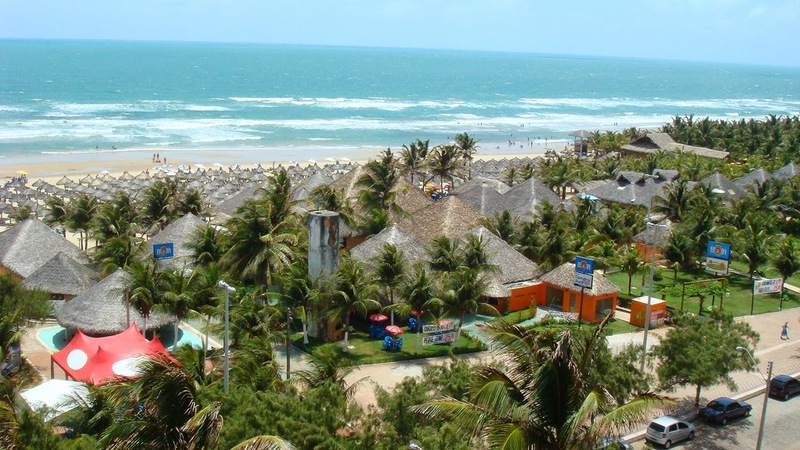 Literally, the name Ceará means "sings the jandaia" - jandaia = specie of parakeet. 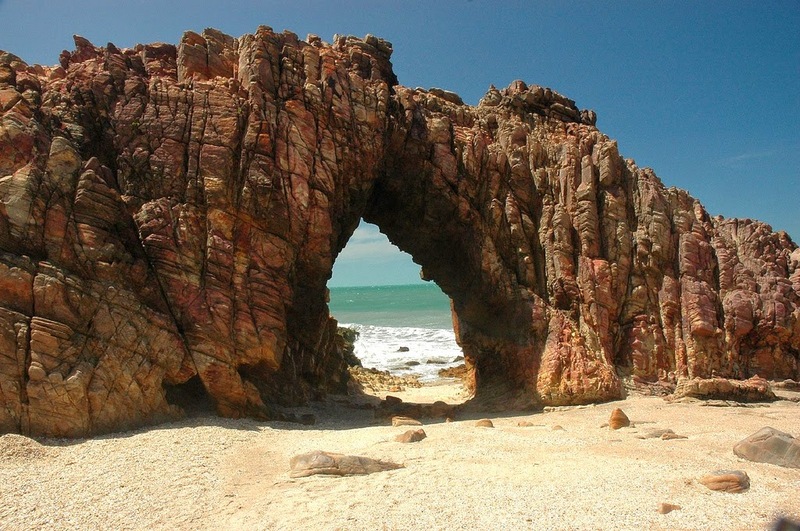 According to José de Alencar, one of the most important writers of Brazil and an authority in Tupi Guaraní, Ceará means turquoise or green waters. 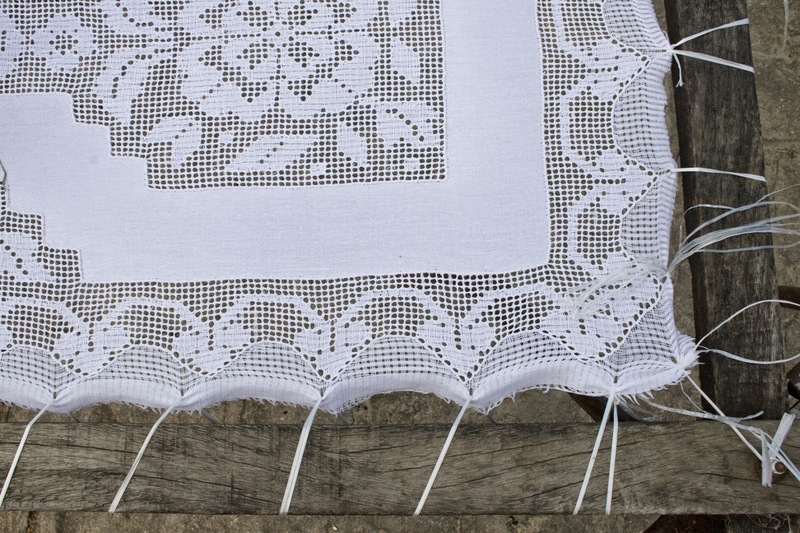 There are also theories that the state name would derive from Siriará, a reference to the crabs from the seashore. 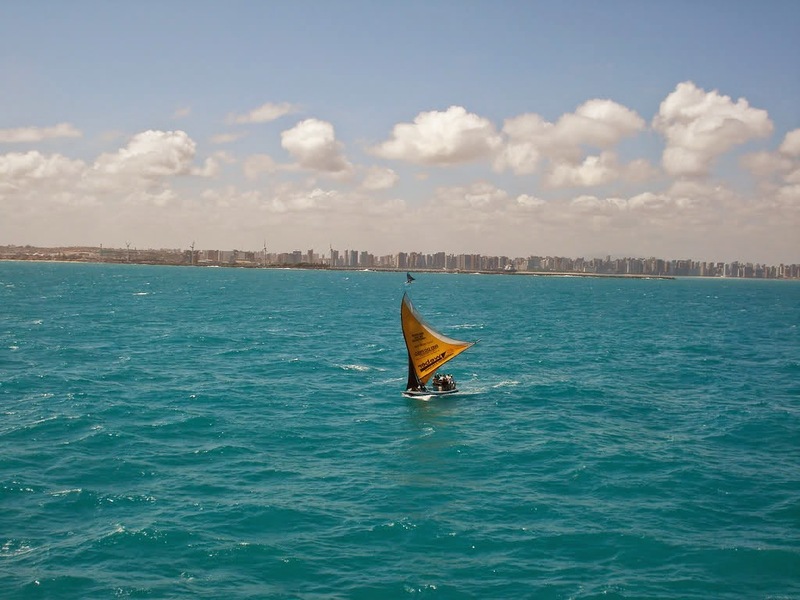 The raft, still common along the coast, is considered one of the greatest symbols of the people and culture of Ceará. 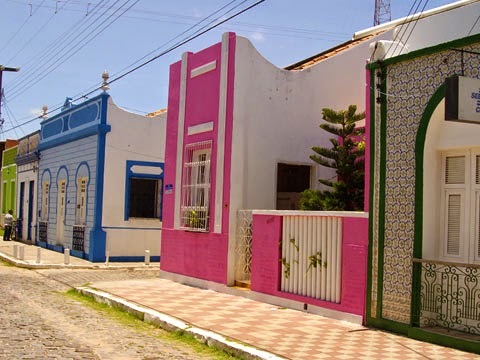 Land of the writers Rachel de Queiroz, Patativa do Assaré and José de Alencar, Ceará also found the greatest humorists of the Country as Renato Aragão, Tom Cavalcante and Chico Anysio. 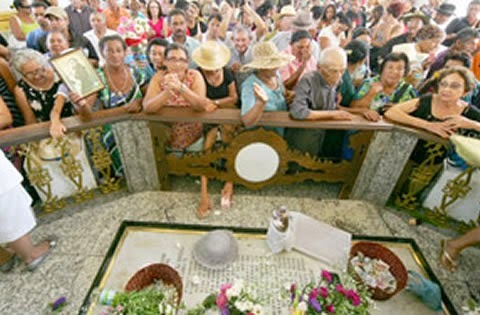 Significantly, Ceará was one of the very first places in the country to do away with the system of slavery. 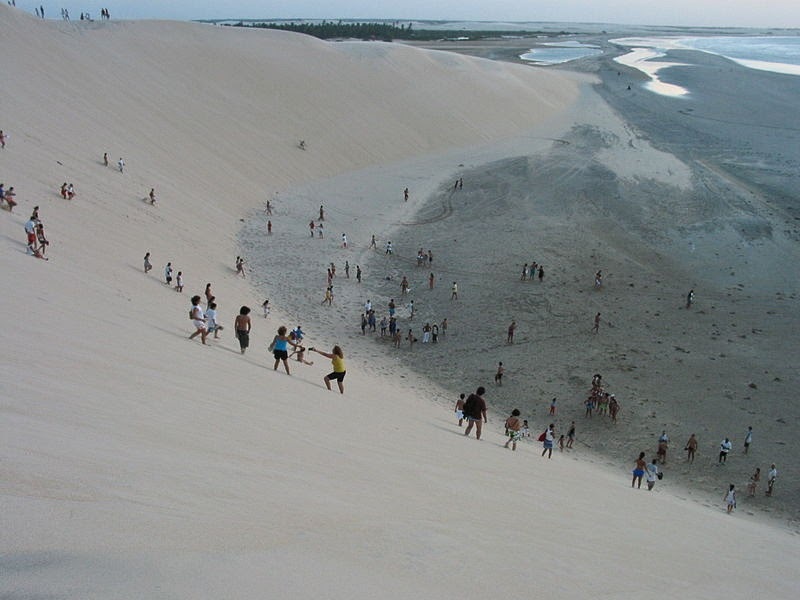 The state of Ceará has a total area of just under 150 000 square kilometres. 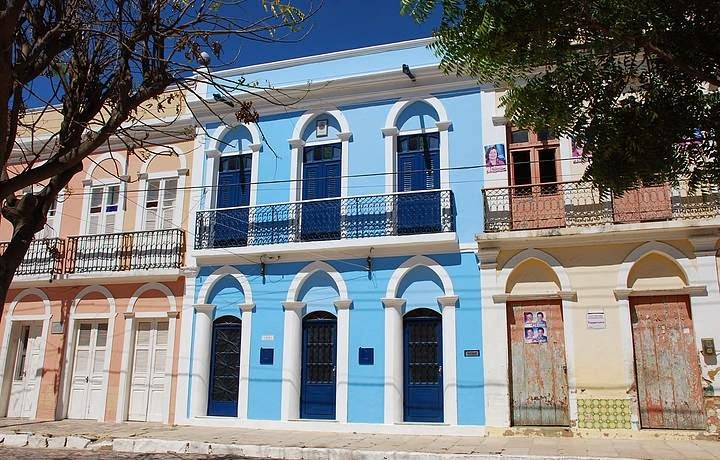 It is bordered by Rio Grande do Norte, Paraíba, Pernambuco and Piauí as well as by the blue waters of the Atlantic Ocean. The vegetation of this state varies from mangroves and jungles to scrublands and dense tropical forests. 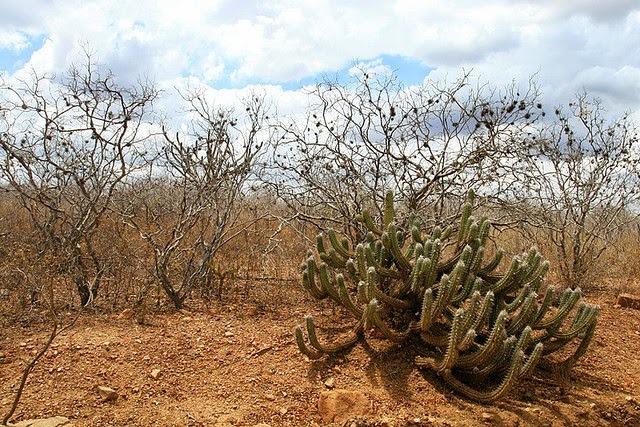 Caatinga is another prevalent form of vegetation in Ceará, and is characterized by scrubby forests. 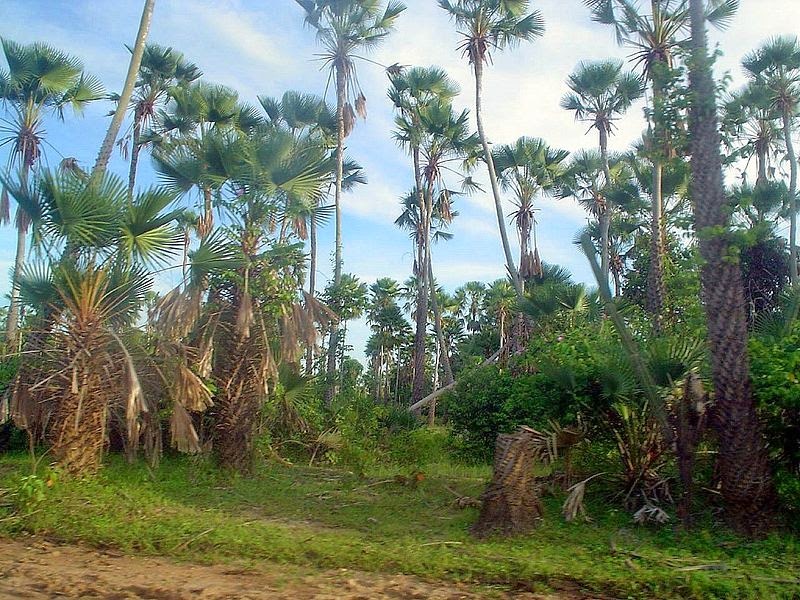 This is a type of vegetation that is endemic to Brazil but Ceará concentrates 55% of all caatinga of the Country. This state suffers from very dry, harsh conditions during some seasons, resulting in the desertification of many areas at these times. 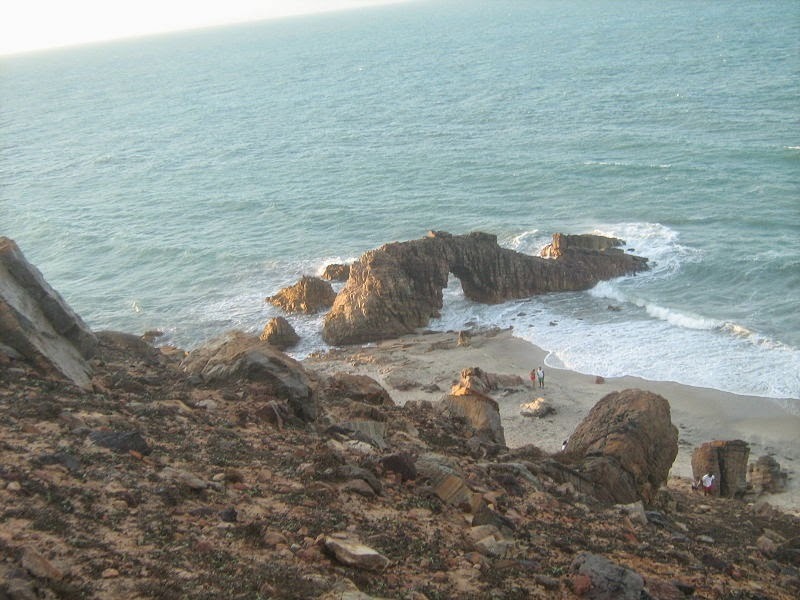 In general, the climate is humid on the coast and dry further inland, but always hot. The average noon temperature is between 33 and 40 degrees Celsius. The rainy season is between January and June, while July to December is the dry season. 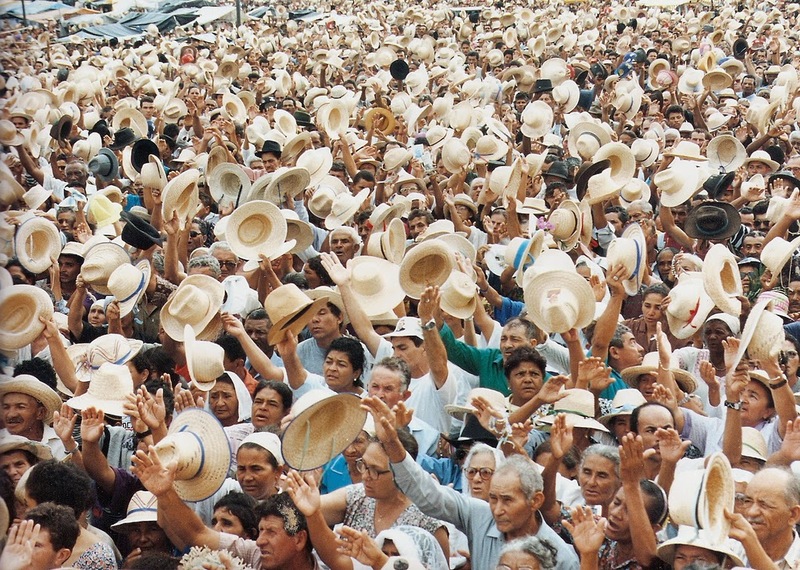 The carnauba tree is the symbol of Ceará and occupy large tracts in the backcountry. 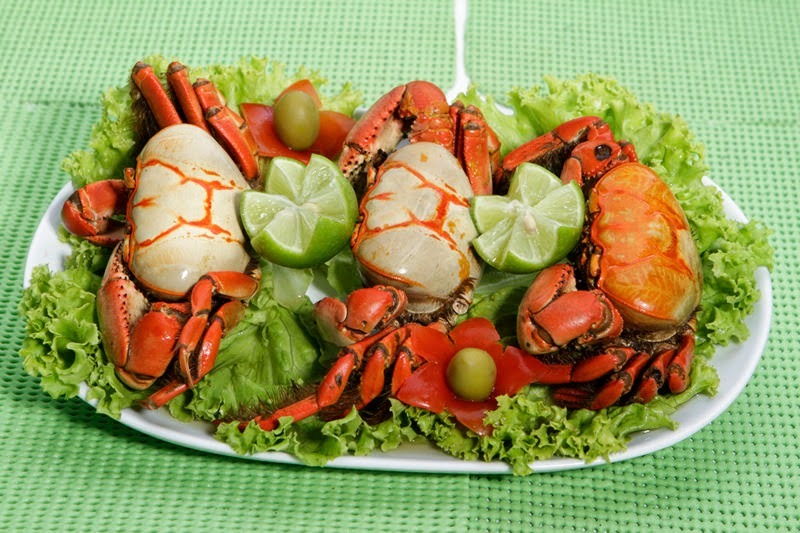 Ceará exports, amongst other products, leather shoes, crustaceans, cashew nuts and fruit.